I bought this book because I want to learn more about pencil drawing. It's not quite what I expected. I had the chance to flip through the book but I didn't and bought this blind. My mistake. It's a nice book but not as good as I expect. The first chapter is the most important chapter that covers the handling of the pencil to create value, form and strokes. The basics are taught here. The next chapter then jumps to the fundamentals of drawing. It covers a bit on perspective, and on drawing basic geometric forms such as the cube, sphere, cylinders, etc. It's nice information but not really necessary in a book that's supposed to be focused on techniques. And they are too brief anyway to be useful, especially the introduction to perspective. The next few chapters covers the drawing of landscapes, portraits and animals. There's one chapter on drawing for watercolours but there's nothing about watercolour and instead talks about composition, shapes and how to enhance details. That's a very big editing error. The last chapter is on coloured pencils, again nice to have but not really necessary. So the bulk of the content are in the chapters that deal with drawing specific subjects. There are quite a few different artists being featured, and it felt like their tutorials are cut and pasted from somewhere well. Anyway, the main problem I have is many of the instructions are not really written by the artists who drew the drawings! It feels a bit weird reading the instructions that are written in third person voice. Most of the examples are more like commentary rather than instructions on drawing. Also many of the examples don't have steps that you can follow. There are some step by step pictures but the text are written in such a way that it's not easy to follow because they are describing rather than instructing. As such, only the first chapter is useful. 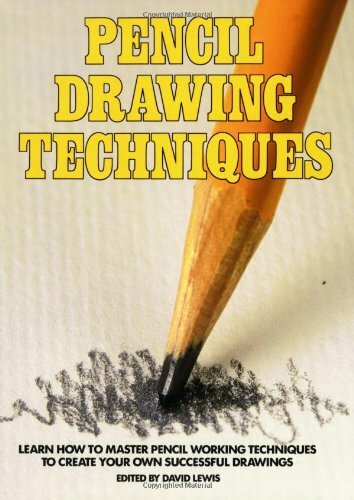 This book is more suitable as a companion to an actual book on pencil techniques. I'm quite disappointed. If you want a good book with clear instructions, lots of step by step demonstrations, go get Pen and Pencil Drawing Techniques by Harry Borgman, still the best book I have on pencil techniques.